JDJ Remodel is a full service design/build remodeling firm specializing in award winning projects for Whole Home Remodels, Additions, Kitchens, Bathrooms, Lower Levels and Wine Cellars. We have been proudly remodeling the homes of residents located in Southeastern Wisconsin for the past 40 years. Dan Klappa, owner of JDJ Remodel, invites you to take a closer look into what our team loves to do and the imaginative projects we can create for you. JDJ Remodel understands the importance of choosing the right company to serve your home improvement and remodeling needs. At the end of the process every contractor will ultimately remodel your space but it is the overall experience, communication and time proven processes that continue to grow the JDJ family of satisfied clients. We give each of our clients a personalized experience to your remodeling project and assure that our entire team is aware of your concerns throughout. We will start by meeting with you in the comfort of your home. We will address questions and concerns, listening and working together with you to discover your ideas, your life-style and the possibilities within your project. JDJ Remodel’s in-house design service provides customized remodeling plans suited to fit your needs and budget. During the initial design stage, we will create preliminary design documents to help you see your project come to life. Approval of the design phase allows us to move into a final proposal with detailed specifications and construction documents that are provided to give you a "walk-through" of your new remodel in advance, allowing an exact and full visualization of your project before we start the real work. All aspects of your project will be documented in detail to create a fixed price package. We will acquire all the proper permits and schedule a start and completion date prior to construction. We are fully involved throughout each construction phase and in full communication with you and our trade contractors. This provides you with a smooth running project from start to finish, followed by reliable service and warranty after completion. JDJ Remodel gives you the quality and professionalism your project deserves. Our talented designers are ready for your project! From a period correct updated bath in a Historic East Side Mansion, to a simple backsplash in your current kitchen, we bring experience and creativity to every project. Are you ready to renovate, but don't know where to begin? Our award winning team of Designers and Craftsmen will guide you step-by-step through the process. From fundamentals of remodeling, to specific designs for your home and lifestyle, to the sensitive building process. We are here for you. Every kitchen and bath incorporates common requirements; however, your desires and needs are unique. Good design is a balance of these needs and the architecture surrounding the area. This is where our talents shine. Our projects are aesthetically pleasing and flawlessly constructed. Whether you are a budding gourmet chef in need of a cutting edge, high tech kitchen or a family that has reached their limit of size and functionality in the current bathroom, we will help. From basic updates to complete remodels, including moving walls and reconfiguring adjacent spaces, our meticulous attention to detail and uncompromised communication are keystones to the process that will transform your wishes into a reality. Plumbing to Cabinetry, Fixtures to Flooring, everything under one roof. Come visit our Pewaukee showroom and meet with one of our desginers. We look forward to working with you! (Our parent company is Horner Plumbing/Bayview Plumbing.) .. Imagery Homes is a custom home builder and remodeling company that provides high-end luxury without the high-end luxury price tag. Our team of skilled craftsmen and designers will help "Elevate Your Quality of Life"! Whether you’re building one of our existing home designs, or if you need a one-of-a-kind custom built home, Imagery Homes is recognized as one of the areas top builders. Guiding homebuyers through a simple, step-by-step process, we enhance the building experience by providing design services, practical advice, flexible accommodations, and personalized hands-on oversight from start to finish. 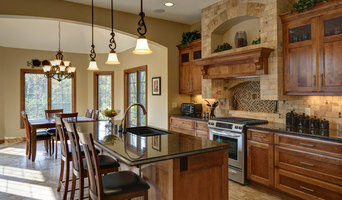 If you think you can’t afford the house or remodeling project of your dreams, Imagery Homes will make you think again. Since 1989, QRS has been serving Milwaukee and Waukesha Counties as a home remodeling company specializing in kitchens, bathrooms, additions, lower levels, theaters and audio/video integration. Our award-winning, NARI certified team of experts and portfolio of experienced and reliable subcontractors view themselves as problem solvers who understand the challenges of home remodeling. Our clients believe that QRS also stands for outstanding Quality, Reliability and Service. Our high level of trustworthiness, combined with old-world craftsmanship and attention to detail are the foundation on which QRS was built and continues to grow. Our team at Paradise Builders brings together the most contemporary design technology and construction craftsmanship with professional credentials that allow us to provide a wide range of specific product warranties few contractors in the Waukesha and Metro Milwaukee area can match. Paradise Builders is led by Keith Knapp, Jr., the company president and owner. His great-grandfather built new homes in Elm Grove and Brookfield, Wisconsin, and his grandfather and father were lifelong builders and home remodelers. Through hard work and shared experience passed down from father to son, these four generations built a solid family reputation that is the foundation of our successful company. We are proud to be a building contractor with an A+ rating with the Better Business Bureau (BBB). We are active on the Green Building Council of the Metropolitan Builders Association (MBA). Paradise Builders is working within the local industry to unite our age-old craft with sustainable, green building practices. 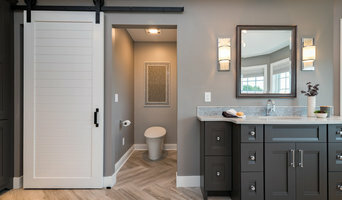 Waukesha's Kitchen & Bath Remodeler | 5x Best of Houzz Winner! timothyj kitchen & bath, inc.
Lead by Southeast Wisconsin's ONLY Certified Master Kitchen and Bath Designer (CMKBD) Tim Benkowski. As artist and designers - our primary goal is to use our vision while maintaing our self-imposed standards of excellence in architecture, design, material specification and construction. We are proud to associate our name with each and every project. At Build it Right, everything we do begins and ends with you, so naturally our first step in any project is to get to know you, your vision, and your expectations. We begin with an on-site consultation in which we discuss your needs and possibilities so we can determine the best design build solution for your project. During this visit we will perform an initial evaluation of your home, examining the space you’d like to remodel/renovate, and take measurements for that space layout. Kitchens should be beautiful. Kitchens must be functional. i.e. 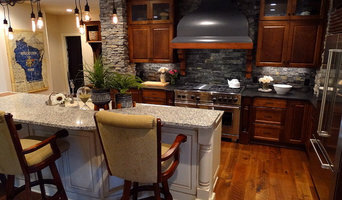 Design started in 2003 to bring clients the best kitchens in the Midwest. We've been designing beautiful, functional kitchens since 1992, and we love the working with clients to visualize and execute their dream projects. Contact us to get started on a project today! Urban Herriges & Sons, Inc. 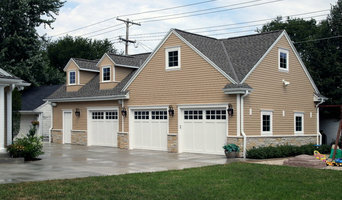 When Urban Herriges & Sons, Inc. builds your addition, you will be assured of quality. Phil Herriges, the first Herriges in the Milwaukee area, was followed in the business by his son, Urban. Grandsons, Dean and Bob, continued the tradition and have now been joined by great grandson, Joe and great grand-daughters, Julie and Lisa. Four generations of expertise provide quality workmanship from start to finish...from the plan to the one-year warranty...from the foundation to the roof. Urban Herriges & Sons, Inc serves Waukesha County and surrounding areas including Mukwonago, East Troy, Eagle, Muskego and New Berlin. We are a small design build remodeling firm with the resources and experience of the larger firms. Our focus is on our delivery process and customer service as much as it is quality of construction and design expertise. We believe our customers are buying an experience as much as anything else. Our team is well established and dedicated to ensuring that the process from start to finish is a first rate experience. EHR is excited to bring our experience to life in your home. We take pride in creating spaces that offer lasting value for your investment. Elite is driven to provide outstanding project management, quality installation & responsive customer service. The unique advantage of working with EHR is our in-home service. We provide custom designs and quality product selections and bring them to you! We can also arrange to meet with you at various product showrooms. Why Choose Elite Home Renovations? - The Elite team has over twenty years of experience in the remodeling industry. - EHR provides thoughtful and innovative solutions for any type of project. 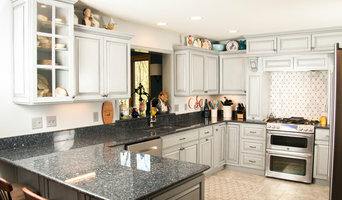 - EHR offers a turnkey remodeling experience for today's busy homeowner. - EHR will oversee every detail, from design specifications & permits, through job completion. - EHR has a team of qualified plumbers, electricians, HVAC and other tradesmen. - EHR offers a 1 year industry standard warranty from time of completion. - EHR takes advantage of educational opportunities to garner product knowledge, industry improvements, codes & design trends. - EHR takes pride in our responsive customer service, quality installation & job site cleanliness. Our qualified and highly skilled sub contractors can take care of all aspects of your project. We will coordinate and schedule all details for a fluid project. As principal designer and owner of Karen Kempf Interiors, my team and I bring many years of design experience to our clients. We collaborate on projects to assure balance in both the creative and technical aspect of design. We want to help you understand the process and avoid the common pitfalls encountered during construction, all while finding that perfect harmony between beauty and function. We start with your dream vision and translate that into a uniquely beautiful, well designed space of which you will be proud.